Darul Uloom Pretoria’s Dawah Centre, on the 21st November 2015, held their annual Jalsa at their Bengal street premises. 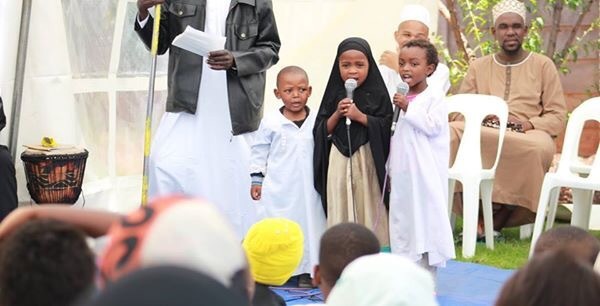 The Jalsa began promptly at 10:30am and showcased the education imparted to the children who have recently reverted to Islam. Many students at the Dawah Centre are extremely young and many have recently accepted Islam. The audience observed the sterling work done by the teachers at the Dawah Centre. The items rendered by the children bore testimony to their efforts. Many graduates of the Darul Uloom Pretoria attended this programme. 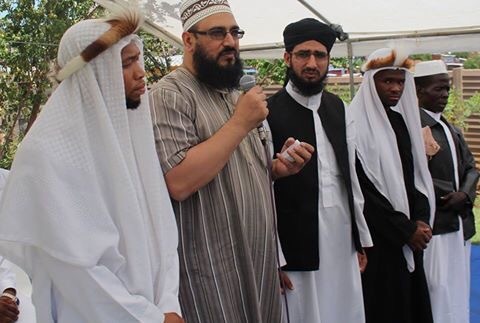 Moulana Sayed Imraan Ziyaee, a senior graduate of the institute and the principal of Darul Uloom Pretoria’s Cape Town branch expressed the joy of the graduates on witnessing this great work done by their institute. Many graduates and educators from the various branches of the institute attended this event. 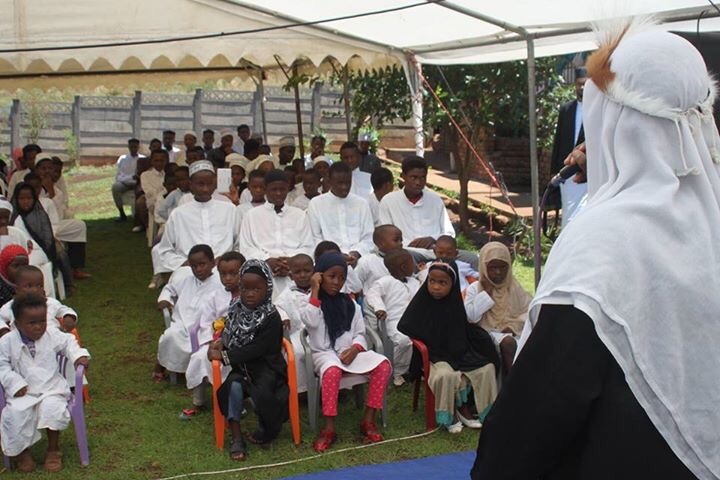 Moulana Habeeb Milanzi, a more recent graduate also addressed the public in his dynamic style and explained the principles of the glorious religion of peace. Later, during his address , another senior graduate of the institute, Moulana Abdul Wahab Wookay, CEO of the National Independent Halaal Trust (NIHT) stressed that the work done at the Dawah Centre is an emulation of the message of our Holy Prophet Muhammed SallAllahu Alaihi Wasallam. Moulana Abdul Wahab presented Moulana Uthman Solehri (an educator at the Darul Uloom), Moulana Abdul Malik, Moulana Habibullah (both graduated as Ulama this year) and Sheikh Banda to the audience. Moulana Abdul Wahab presented the team who have worked extremely hard for the prosperity of the Dawah Centre, led by Moulana Usman Solehri. The guest speaker, Mufti Muhammed Akbar Hazarvi – founder and principal of the Pretoria Islamic Educational Centre- reiterated the importance of the activities of the Dawah Centre. He expressed his gratitude to all those who are contributing to the Dawah Centre in whichever form they are doing so.